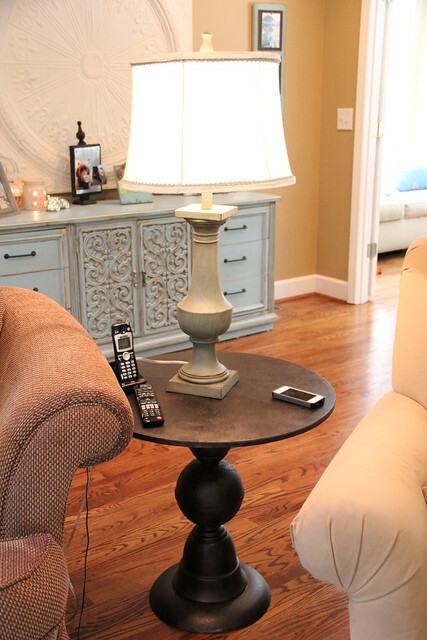 I scored some new lamps at Homegoods this weekend that I’m so excited to share with you guys! 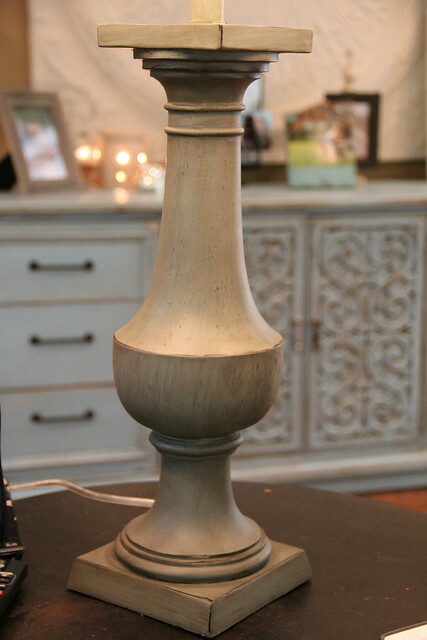 I have had my eye on these Pottery Barn architectural salvage lamps which were about $200 each. No way could I ever justify paying that much for a lamp. Although you better believe I was supah tempted! As a side note, I did make my very first purchase EVER from Pottery Barn this weekend, but it wasn’t one of those lamps. I can’t believe it’s taken me 33 years to buy something from that store, but I finally did it. You might even spot my purchases in the background of one of these pictures, but I’ll save that for another post. Instead of buying the spendy Pottery Barn lamps I held myself back and decided to check out the lamp selection at Homegoods instead. Something was telling me I might find a better deal, so I ventured inside and found these beauties sitting there for $39.99 each. 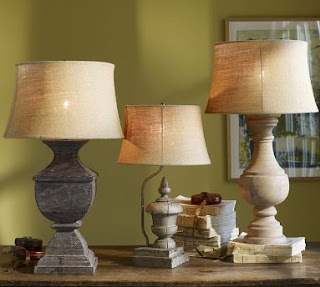 They are not an exact replica of the Pottery Barn lamps, but these are pretty dang close! 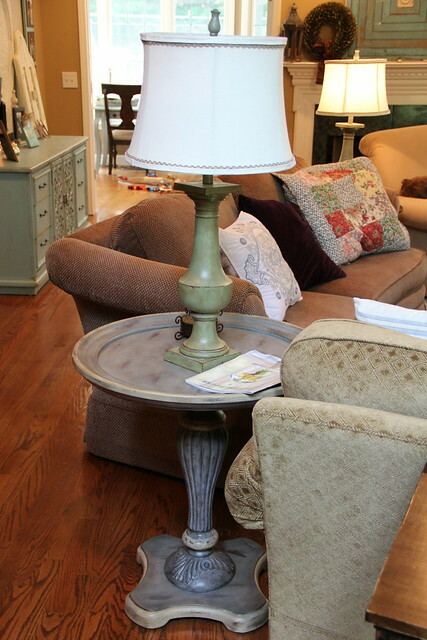 I’m not sure if I like this lamp sitting on this table or not. It seems like it’s too high or something. I might move it over to the sofa table behind the couch. We’ll see. They definitely need new shades, but I love the bases! 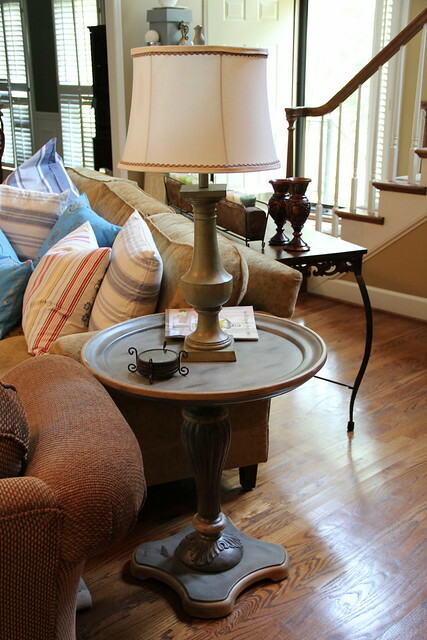 I’ve become such a fan of that turned wood baluster shape ever since I bought my pedestal dining table. If y’all see anything let me know, please! I am so jealous! Been looking for a while for those lamps. Good for you. 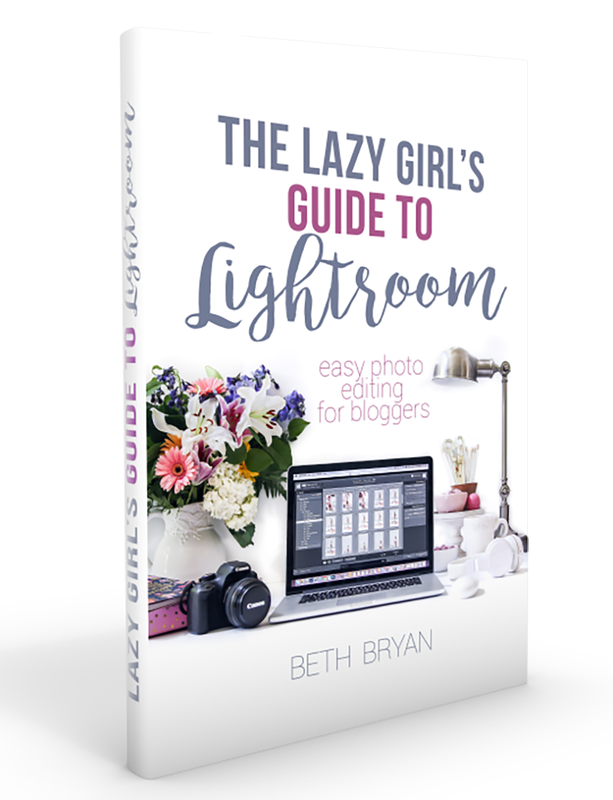 First time to your blog, I’ll be back to read more. Nice lamp Beth – I agree too with it needing a bigger shade though. Love your lamp discovery. I just love HomeGoods, they have amazing accessories and now looking for a turquoise leather chair I saw on their inspiration page, but they don’t have it. How do you find it? Very Nice! A great find!